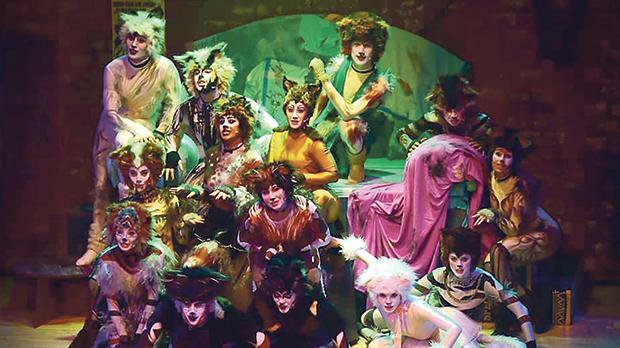 Hoi Polloi Theatre Productions presents a new theatre spectacular of Andrew Lloyd Webber’s world famous musical, Cats, which tells the story of a tribe of cats called the Jellicles who meet on one special night each year to celebrate who they are. During the Jellicle Ball we get to know about the special traits and secrets of our feline friends, as they invite us through this lyrical journey based on T. S. Eliot’s Old Possum’s Book of Practical Cats, with some well-loved musical theatre classics including Memory and The Magical Mr Mistoffelees. The production will be live on stage in Malta for the first time and a comeback for the local production company on the occasion of their 15th anniversary. The production is being put up at the Valletta Campus Theatre (ex-MITP), St Christopher Street, Valletta, on Friday and Saturday at 8pm. For booking: http://www.ticketline. com.mt/Events.aspx .